For over 30 years, DA Roofing has been providing residential roofing services including re-roofing, roof repairs, roof inspections and maintenance agreements to homeowners throughout Sacramento, Placer and El Dorado County. DA Roofing also offers gutter installation, gutter cleaning and repair services, skylights and solar tube installations, attic venting and insulation installation services and much more. When it comes to defending your home against the elements, our residential roofing division is available 24-hours a day for emergency leak repairs and for new roof installations. At DA Roofing, we realize the importance of your investment when you choose to replace or repair your roof. We also understand the level of trust you have placed in us as your residential roofing contractor as we promise to always give you and your home the utmost of respect as if it were our own home. You can be rest assured that when you hire us, you will receive nothing less than the very best quality service. Below you will find additional information about our residential roofing services. If you have any questions or we can assist you in any way, please contact DA Roofing at 916-715-1032. Roof replacement is extremely important in protecting your home from the elements. 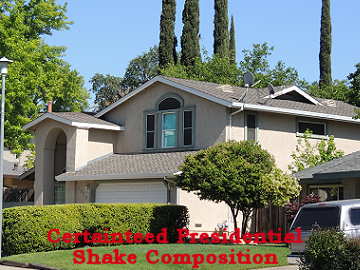 A leaking roof will easily cause thousands of dollars in damage if it is not corrected quickly. However, leaks are not the only symptoms that may cause you to need to replace your roof. You should also be aware of large changes in your heating and cooling bills. The roof keeps warm air in the winter and keeps it out in the summer. A damaged roof can mean huge utility bills and a compromise in the energy efficiency of your home. Installing a new roof system for your home is one of the most important investments you can make as a homeowner. You deserve a roof that you can rely on. DA Roofing specializes in residential roofing applications and it is our mission to ensure that the roof you choose is perfect for your home and your budget. From shingles to slate, tile, metal and cedar shakes our residential roof specialists offer a seemingly endless inventory of roofing materials for you to choose from. Don't trust your new roof to anyone else. 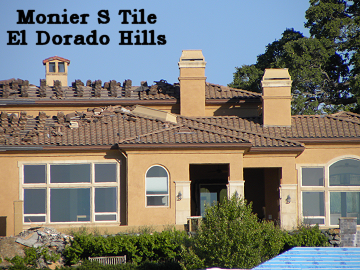 You can depend on us to get your roof completed promptly, efficiently and affordably. Please contact DA Roofing to schedule your roof installation today. Is your roof leaking? Maybe some shingles or flashing have blown off? Perhaps the damage is more serious such as sagging in your roof or damage from a fallen branch or tree? No matter the need, the roof experts at DA Roofing can help. It is essential to have regular repairs conducted on your roof. Even minor deterioration can be a big problem when water is involved. Water can seep into the ceiling and walls through even the smallest holes in a roof, causing structural damage and creating the perfect environment for mold and mildew. DA Roofing specializes in keeping roofs in great condition through quality service and expert craftsmanship. If your home is in need of roof repairs, call the experienced roofers at DA Roofing today. A new roof usually represents a very sizable investment. Is this protected? DA Roofing can help answer that question. At DA Roofing, we realize the importance of regularly scheduled roof maintenance. We also realize that some manufactures warranties require yearly inspections to maintain the warranties. A regular roof inspection may not be on your mind, but during its lifetime, even the best residential roof is subject to wear and tear. There is not much you can do to protect your roof, that is why we recommend a yearly roof inspection and maintenance. A simple inspection can save you thousands in potential damage by extending the life of your roof, identifying, and repairing minor roof problems before they become emergencies. If your roof is damaged or leaking it will require immediate attention so that you have an opportunity to prevent more expensive problems in the future. Regular roof inspections by our residential roofing professionals will help to prevent avoidable issues. Our roof inspection specialists at DA Roofing will perform a comprehensive roof inspection that will determine the condition of your roof. DA Roofing has been inspecting roofs and repairing roofs for homeowners for over 30 years. We have helped residents save thousands of dollars while also ensuring that they get the most from their roofs. For further information about our residential roof inspection services please contact our office. As a full roofing company DA Roofing offers a variety of other home improvement services. Please visit our additional services page to find out more information. If you have any questions or we can assist you in any way, please contact DA Roofing at 916-715-1032.